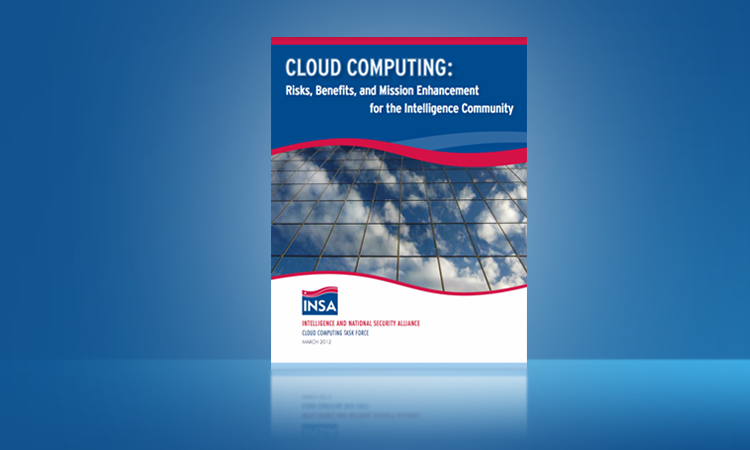 This white paper, written by INSA's Cyber Council’s Cloud Computing Task Force, is the culmination of a study of technologies, issues, requirements and observations on the topic of cloud computing in the national security space. This paper looks at the broad area of cloud computing as it is being implemented by some of the nation's greatest thought leaders on the topic, including lead architects at IC agencies and ODNI, as well as their partners in the private sector. The paper's conclusions focus on the lifecycle implications of implementing a cloud computing architecture, the importance of learning from implementation partners in academia and the private sector, and the principal concern of maintaining mission focus and security as a cloud business model is developed.